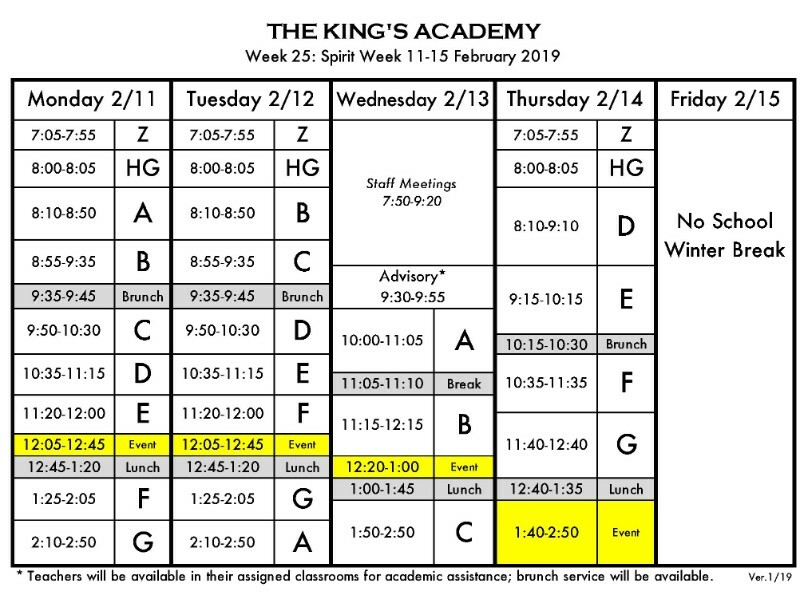 Feb 11-14: TKA SPIRIT WEEK!! Search the TKA News Archive. LIVESTREAMING LINK HERE: Thursday, 1:40-2:50 p.m.
Students should prepare their costumes and bring their class spirit each day for some good ole' fun competition! We've asked your students to get FIG-GY with it. FIG-GYSPIRIT means Fun, Inclusive, God-Honoring! Inappropriate costumes (gruesome, skimpy, vulgar or disrespectful) are not allowed, will not be counted, and may be subject to dress code demerits. All modesty rules still apply! No pajama pants may be worn. Colored hair is allowed only on Monday and Thursday, "Character Day" and Color Day."